Seattle, WA-(April 3, 2019) The BMW R1250GS has a more powerful motor and upgraded electronics package making this legendary adventure bike even better. By using a longer stroke, bigger bore and clever variable intake cam geometry, the engineers at BMW added power right where you want it. When doing a top gear roll-on or passing a car on an open highway you can feel it has more usable power over the previous models. 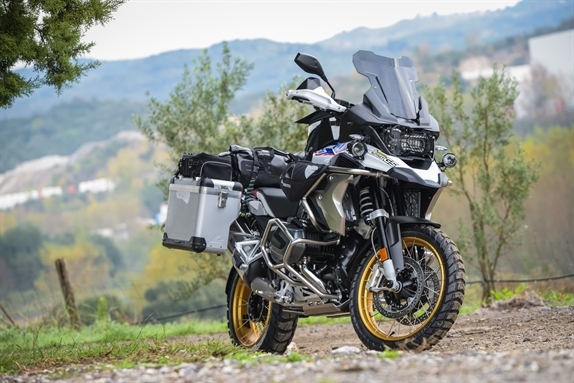 The team at Touratech has been making accessories for BMW’s GS models for over 25 years and they have just released a complete product range for the R1250GS to improve ergonomics, protect the motorcycle, and carry gear for a weekend tour, backcountry adventure, or the trip of a lifetime. Below are highlights from the product range, or you can see everything on the Touratech USA website.